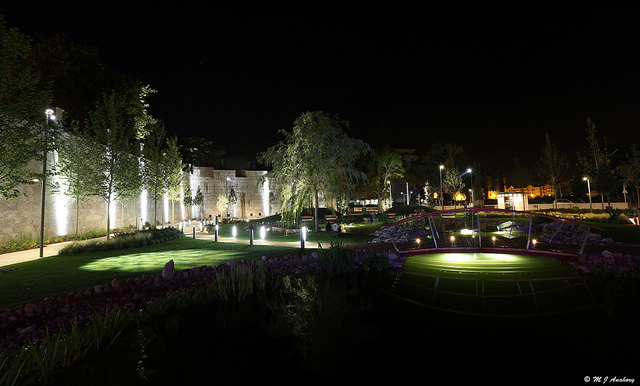 The newly designed park in Gibraltar offers a light and pleasant area for both day and night, yet withstands the rigours of the harsh environment. 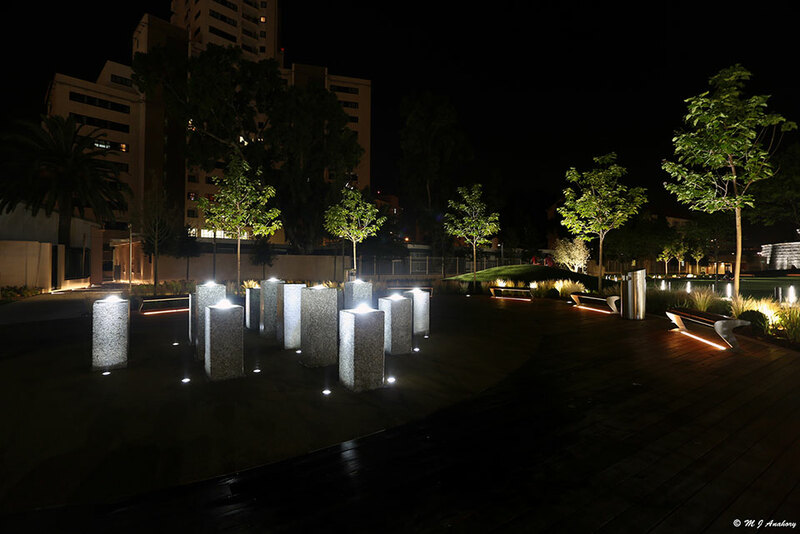 Brief: The client required lines of light set into pillars of stone and circular rings of light for the fountains. Solution: We used a bespoke LightLine linear that had been treated to a high level of protection for the pillars and the fountain lights were special products, designed and manufactured in the UK, with a tough impermeable plastic base needed to offset the unknown factors of the fountain water and sea air.